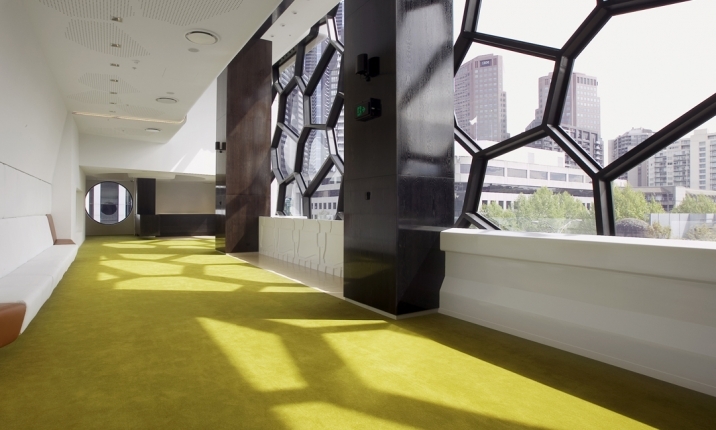 A refreshing, light-filled space with views of the Arts Precinct and city. 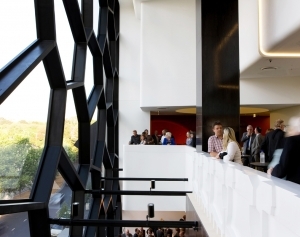 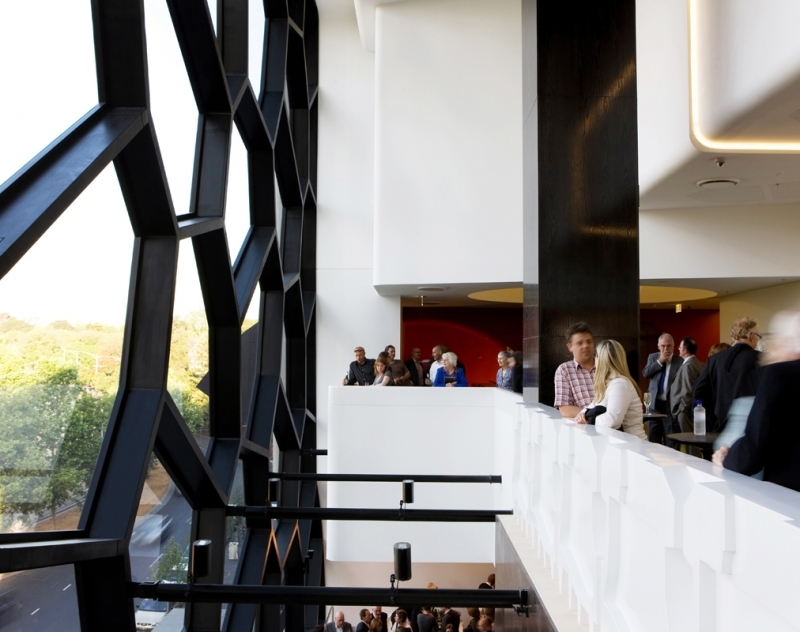 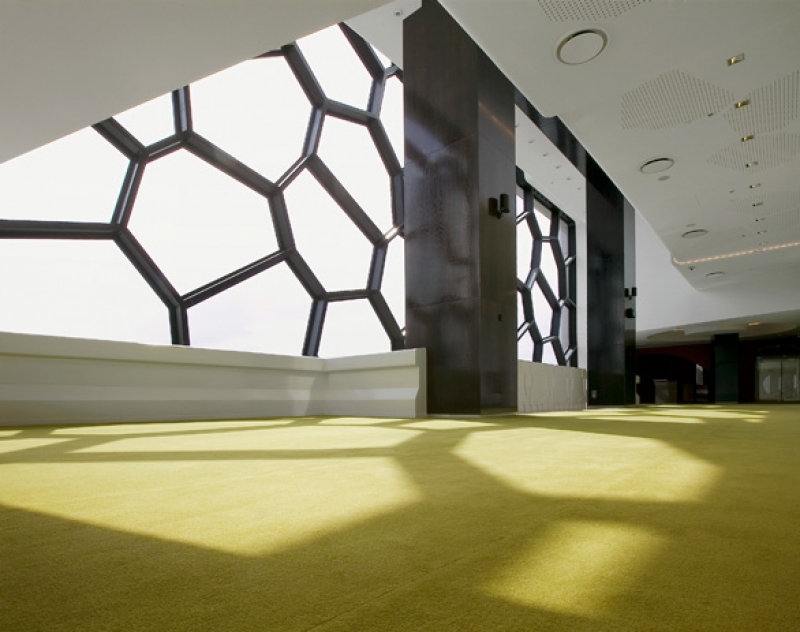 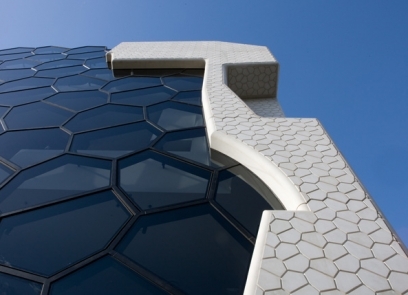 The Level 2 Foyer is a vibrant, open space that features stunning views through the unique ‘bubble’ glazing of the Centre’s facade. 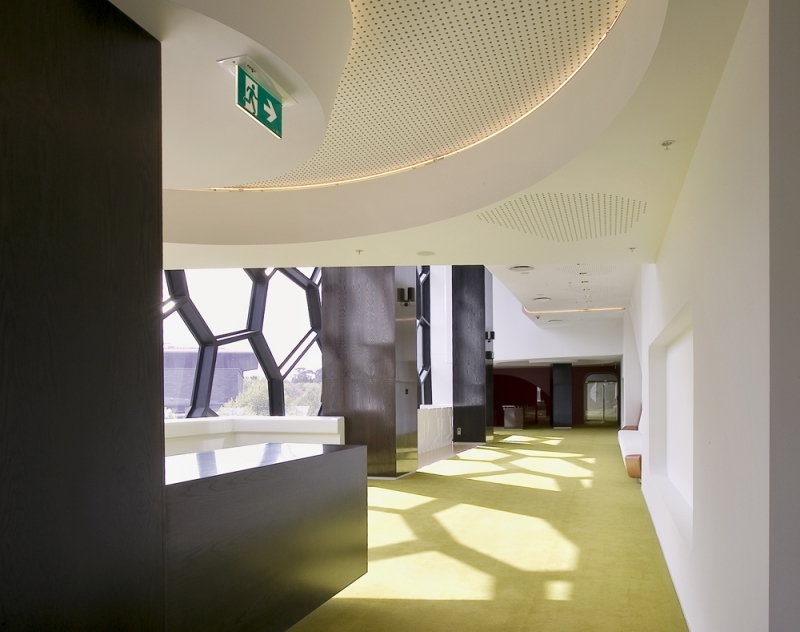 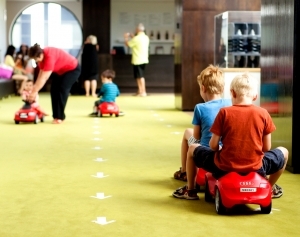 Providing access to the circle of Elisabeth Murdoch Hall, the Salzer Suite and foyer cocktail bar, the Level 2 Foyer is versatile space, suitable for small and medium-sized roving performances, presentations, workshops, installations, cocktail receptions, refreshments and more. 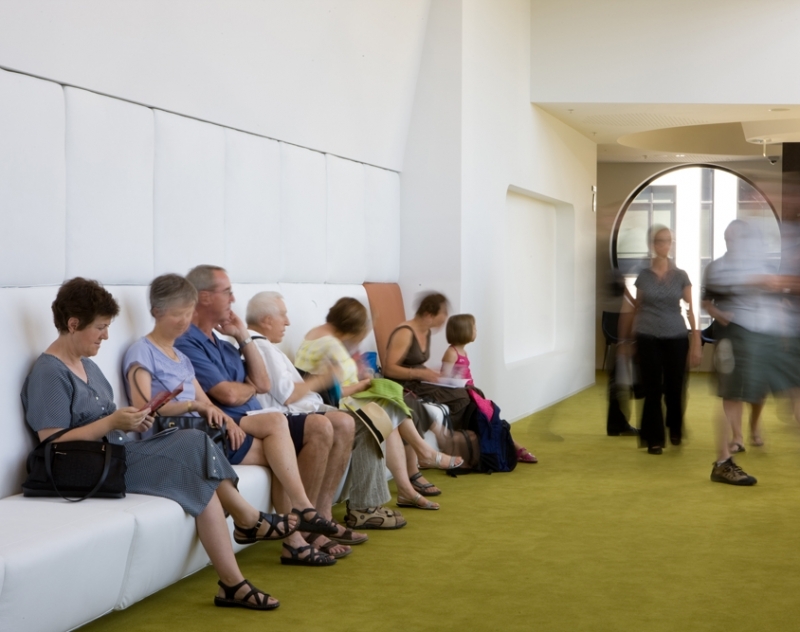 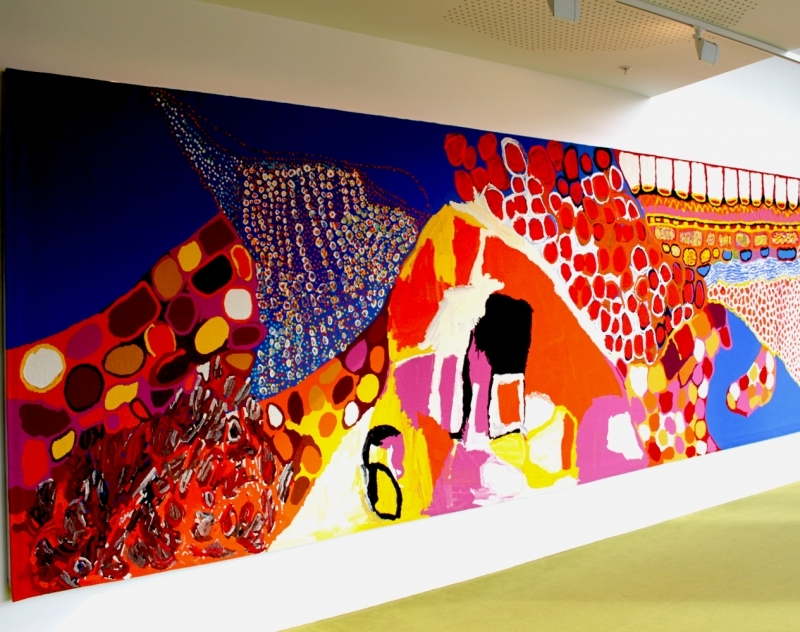 The Level 2 Foyer is also home to the striking Dulka Warngiid tapestry which was commissioned by The Hugh Williamson Foundation and the Centre’s Founding Patron, Dame Elisabeth Murdoch AC DBE.